1. Garbhadana Samskara – is performed by a married couple when conceiving a child. This important Samskara raises the act of conception to a sacred occasion, and is powerfully purifying and uplifting for the unborn child. 2. Pumsavana Samskara – is usually performed between the second and fourth month of pregnancy. Its purpose is: to insure the good health of the foetus and the proper formation of its organs, so that the family line and tradition will perpetuate thorugh the baby. 3. Simantonoyana Samskara – In the fourth or fifth month of pregnancy, the mind of the foetus begins to develop. This is when simantonoyana Samskara is performed. Its purpose is to protect the foetus–especially its newly forming mind–from all negative influences, and also to stimulate the development of the unborn child’s intellect. 4. Jatakarma Samskara is the ritual performed at the birth of a child noting the birth time and star and thus create a birth chart which is suppose to be the blue print of ones life. 5. 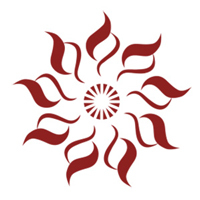 Namakarana Samskara – On the eleventh day after the child’s birth, namakarana Samskara is performed. In this ceremony, the child receives its name. 6. Nishkramana Samskara – The baby’s first outing into the world, beyond the confines of the home. 7. Annaprashana – The first feeding of solid food to the baby, usually in the sixth month after birth. 8. Karnavedha Samskara – usually performed in the sixth or seventh month after birth, consists of the piercing of the baby’s ear lobes, so earrings may be worn. 9. Chudakarana Samskara – At the end of the first year after birth, or during the third year, the child’s hair is shaved–all but a tuft on the top of the head. This ritual shaving of hair, performed with ceremony, prayers, and chanting of Vedic hymns, is chudakarana Samskara This Samskara is for both boys and girls. 10. Vidyarambha Samskara – begins a student’s primary education by ceremonially introducing the child to the alphabet. 11. 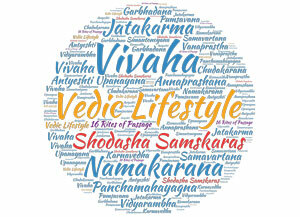 Upanayana Samskara – initiates the formal study of the Vedas. It is one of the most important and esteemed of the samskaras. 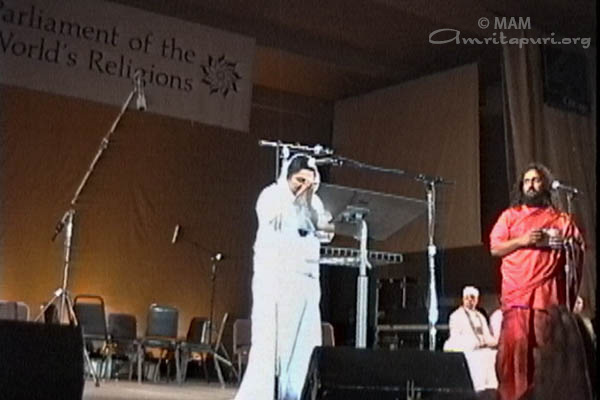 Upon performance of Upanayana, a boy traditionally moves from home to live in the ashram of the guru. 12. 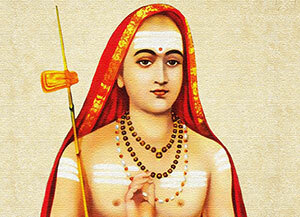 Samavartana Samskara – With samavartana Samskara the disciple graduates from his Vedic studies and returns from the house of his guru. Thereafter, the disciple will marry and raise a family, and so enter the stage of householder, grihasthashrama. 13. Vivaha Samskara – The traditional Hindu wedding ceremony is known as vivaha Samskara It is considered by many to be the most important of all the samskaras. 14. Panchamahayagna Samskara – A married couple performs the panchamahayajna, or five great sacrifices, daily. In this Samskara, one honours, in turn, the rishis, the gods, the parents, humankind, and all created beings. 15. Vanaprastha Samskara – According to the Vedic tradition, vanaprastha is the third stage of life, following brahmacharya (Vedic student/disciple) and grihasta (householder). Here, a one leaves behind ones life in the world and retires to the forest (or serving the society), to live an ascetic life devoted to service, study of the scriptures and to meditation. 16. Antyeshti Samskara – The final sacrament, the funeral rites, are known as antyeshti Samskara. The sacred Bhavani River is usually a favourite stop for Mother and Her children during the drive back home from Chennai. It was past 2:00 a.m. when the buses reached the Bhavani — probably the only time the steps leading down to the river aren’t overcrowded with worshippers of all kinds. The gentle breeze after a mild drizzle was a welcome relief from the scorching heat of Madras. The night was calm. The river was flowing with a rhythmic sway. Just in the other side of the river, we could see the lights of trucks plying on the highway. 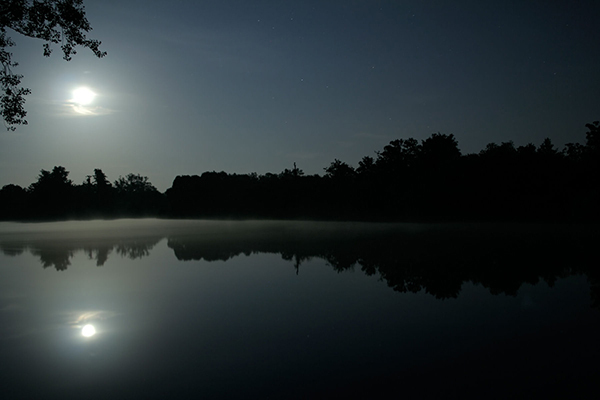 The rising moon was reflecting on the water. It was an atmosphere conducing an introspective frame of mind. Just a small group of people could be seen sitting in the silent night. A group of people surrounding someone… yes, She was there! With Her gaze fixed on the sky and Her arms outstretched as if to embrace the moon’s soft glow. 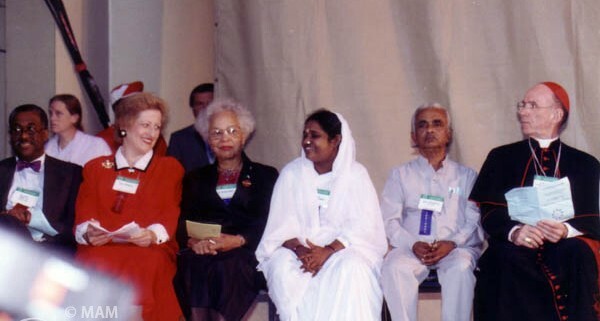 All others were looking at Amma. 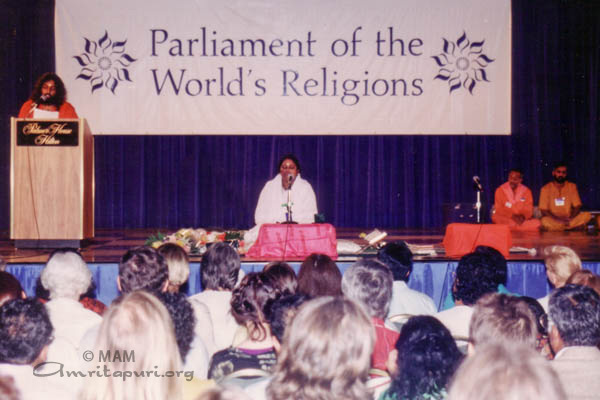 Well, how could anyone gaze at the moon for long when Amma’s face was shining even more brightly? 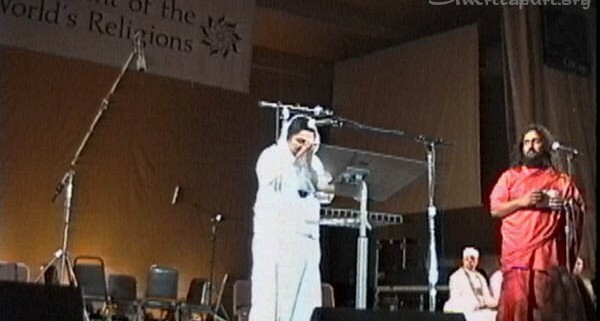 Amma began singing. Softly the voices of Her children joined in; Mother would sing a line, and the children around Her would repeat it. dwell in bliss untouched by sorrow! Mother will one day come to dwell in your heart so pure. offering all sorrows at your altar! Is it only when all my abilities get shattered. there is no refuge for me, but you! 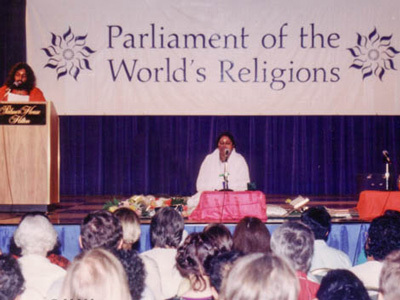 And there, in the glow of the moon, those sitting close could see tears flowing softly down Amma’s cheeks. An anguish to save Her children from the scorching heat of samsara. 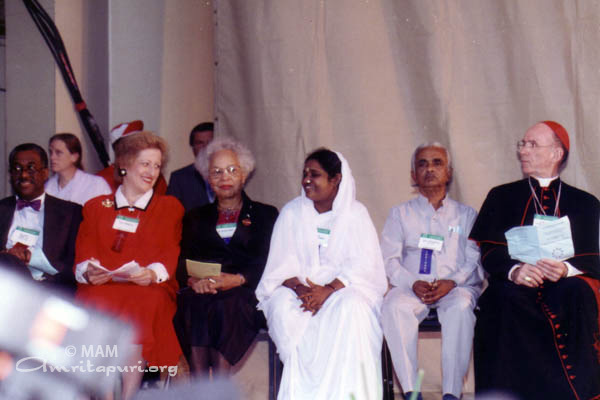 Amma and the moon had turned that night into a unique and unforgettable experience. April the 14th, 2000 was new year’s day in the Hindu calendar. Amma was away on Her tour of North India and the residents used this time to completely restore the old Kalari (temple), where Amma first started Krishna Bhava in 1975. The roof was replaced and internal renovations were carried out. 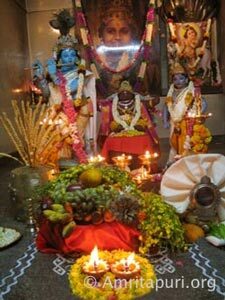 At 4 a.m. in the morning the tiny veranda and garden in front of the Kalari thronged with devotees. Some sat in meditation, others stood prayerfully waiting their turn to visit the shrine room. The day had not yet dawned as the atmosphere rang with the holy sounds of the gong and conch, announcing the moment of the ‘first sight’. The clamor lasted as long as it took for one and all to offer their salutations to the beauty of the Lord’s creation. Philosophically, the meaning of the rite is that the goodness of God, which we behold in the shrine room, decorated with the harvest of his gifts to us, should stay with us throughout the year, that we might always see goodness in all. Between the arrangements of fruit and flowers a mirror is placed, so that as one beholds the auspicious sight, one catches a glimpse of one’s own higher Self. The Kalari is the small temple where Amma first started giving darshan consists of a tiny inner shrine room and an outer-covered veranda where Krishna Bhava used to be held in 1975. Bhajans were sung every evening. Over time, the roof made of coconut tree planks became unstable and the concrete floor of the inner temple developed holes which ants had penetrated, making it very difficult to clean. In March 2000 it was decided to restore the temple. The old roof was removed entirely and replaced, and the inner temple received a new, highly polished granite floor. The beautiful, ornate timber doors leading to the shrine were restored to reveal rich honey-coloured Anjili wood. The work was finished on the eve of the Vishu Festival (Kerala’s New Year Day) on April 14th, 2000. The doors received brightly polished with brass ornamental bells and the mirror-like floor was painted around the edge with a beautiful motif. Beautiful mandalas were painted on the floor. At 4:00 in the morning devotees filled the tiny veranda. The atmosphere rung with the holy sounds of the gong and conch announcing that the deities were waiting to bestow their blessing. Krishna, surrounded by the fruit and flowers of His of creation, was magnificently displayed in two majestic statues, whilst Amma’s benign smile showered down on all from the huge portrait on the altar.